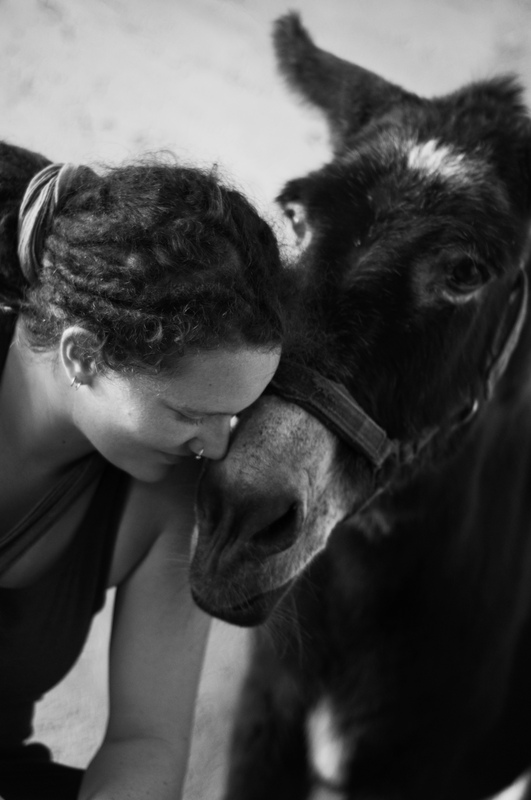 We, the volunteers of ‘The Donkey Paradise’, were all so happy and excited when you arrived here last summer. We found you the sweetest, most beautiful and shy little donkey we’d ever seen with your shining black coat and modest little face. Mia, from Sweden, immediately fell in love with you and took some beautiful photos! You were not very outgoing or curious. It was as if you took everything you found here for granted, you didn’t mingle much with the other donkeys. The first few weeks you would even prefer to go behind one of the caravans, and stay out of sight for most of the day. Later you would show more of yourself, and by ‘round up-time’ would come down by yourself and go to your ‘own’ place in stable 3. Then we started taking yóu for granted. Expecting you to go on living with us forever after. You decided otherwise. One January day you didn’t like your food as usual, sniffed it, nipped a little, didn’t eat your normal quantity. We checked your temperature, which was normal, and gave you two aspirins dissolved in water and lots of honey. You swallowed this stoically. The next day it rained a lot, so all the donkeys had to stay indoors. You seemed restless, walked around in your stable, wanted to go out. We let you out, which seemed to calm you down, and you walked up to your hill as usual and came back as usual. Again you didn’t want to eat, again we gave you honey and aspirines. We also called in the vet to come and see you the following morning. But there was no need for him to come. You died. We found you dead and cold the next morning. All of us were shocked by your sudden death. We miss you, Lyka. You will always be remembered by all the volunteers who knew you.